The set Hunger Games fans have been waiting for will be here soon! 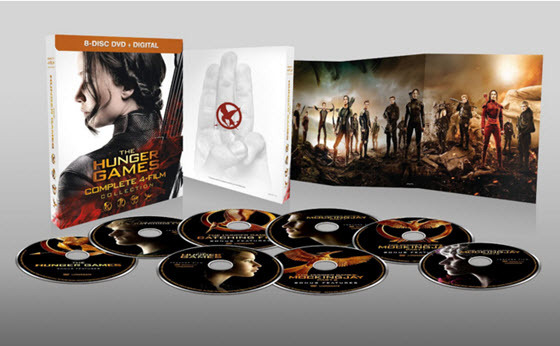 You can pre-order now The Hunger Games: Complete 4 Film Collection on DVD or Blu-ray. Amazon will start shipping it on March 22. Even if you already have the first 3 movies, this Collector’s set will be well worth the $35-49 (depending on whether you order DVD or Blu-ray). If you want to order just the Mockingjay Part 2 DVD, that is available for $19.99 and includes the digital copy. Have you pre-ordered your Mockingjay Part 2 yet? Will you be getting the Complete Film Collection with the special features? It is not too late to order the Hunger Games movie and be able to watch it as soon as it is released! If you pre-order the Hunger Games DVD or Blu-ray from Amazon, it will ship out for its August 18 release. In addition, you will be able to watch it instantly at 12:00am on August 18 on your PC, Mac, compatible TV or compatible device at no charge. That means that you do not even have to wait for your DVD to arrive in order to be able to watch the movie. You will literally be one of the very first people to be able to watch it from home. Both the Hunger Games DVD and Blu-ray sets include the same things but the DVD set is a little bit cheaper. Pre-order today so that you will be able to watch the Hunger Games on your computer or TV before everyone else you know and then have your own set within days to watch over and over. 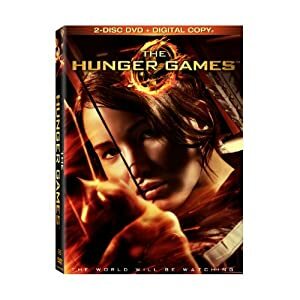 Have you ordered your Hunger Games DVD from anywhere yet? Will you be watching this weekend? The Super Bowl is always known for its commercials and sneak peeks, and this year will be no different. Entertainment Tonight is reporting that brand new Hunger Games scenes will be aired Sunday as a part of the Super Bowl pre-game show. Here’s a clip of a part of that teaser with a tender moment between Katniss and Gale, more about Katniss and her sister, a tiny bit of the actual Hunger Games and more. It’s not enough but at least it is more than we have gotten so far! As soon as we can get video of the full teaser, we will get it posted. Edited…we now have the full trailer! If for some reason it tells you that it is unavailable, either refresh the screen or use a different browser to watch it. It WILL work!! Even if you already have a copy of The Hunger Games, you likely do not have this one! The brand new Hunger Games “Movie Tie-In” Edition is now available and shipping from Amazon. It basically is The Hunger Games with a new cover that features the poster from the upcoming movie. The soft cover book sells for $8.48 and will ship for free with Super Saver Shipping or Amazon Prime. Don’t forget that the Hunger Games Official Movie Companion comes out on February 7 and is available for pre-order right now. This is going to be a “must-have” gift for Hunger Games fans. 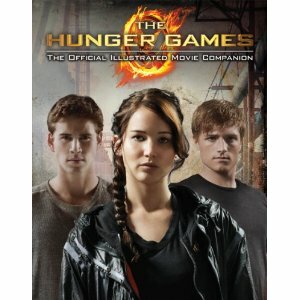 Amazon has dropped the price on The Hunger Games: Official Illustrated Movie Companion and it has not even come out yet! You can now pre-order the book for $11.44, and it is set to be released on February 7, 2012. The book will take you behind the scenes of the making of the first Hunger Games movie and will include both images and interviews. The cover features Katniss between Peeta and Gale. Published by Scholastic, it will be 160 pages long. It will make the perfect gift for any Hunger Games fan, and we cannot wait to get our hands on it!